Hello everyone, we have some important information regarding one of our most well-used casino sites. The popular Dr Slot’s welcome bonuses are changing! However, don’t panic. This is certainly not bad news. First of all, on February 14th 2019 the Dr Slot welcome bonus for new players will be updated. Because of this, giving new players something exciting to shout about! Basically, new players will now be able to receive up to 180 FREE SPINS and up to £1000 in welcome bonuses. As a result, there are more chances of taking away some huge cash prizes at Dr Slot Casino. Most importantly, we have updated all of our information and significant terms and conditions to reflect this change. 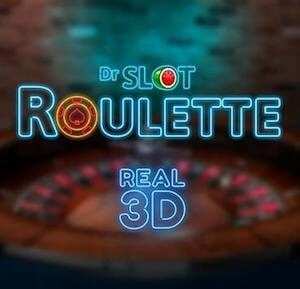 If you are not already a user here, our Dr Slot Casino review goes into a deeper understanding of the games and services. On registration, new players will first be granted up to 30 free spins via a feature game. These free spins require no deposit and have a 7-day expiration. Players may then access the second part of the bonus by depositing £10 or more. As a result, they will be awarded up to 150 spins, given in sets over the next 10 days from the first deposit. The number of spins awarded each day will be decided by a feature game. Each set of spins expire after 14 days. All these free spins will be locked to Super Fruit Bandit. As usual, all winnings from welcome bonus free spins will be awarded as bonus credit. The 40x wagering requirement on bonus credit remains the same. This is in addition to the maximum withdrawal of £50 without depositing. Second Deposit: up to 200%, max £100. Deposit 3 & 4: up to 100%, max £200. Final Deposit: up to 50%, max £450. Furthermore, all the deposit match percentages are decided by feature games after every deposit is made. All deposit match bonuses are awarded as bonus credit. Up to 180 FREE SPINS & up to £1000 Welcome Bonus. 18+. New players only, depositing at least £10. Up to £1000 Welcome Bonus available via 5 deposit boosts. Deposit 1: up to 300% deposit match, maximum bonus £50. Dep. 2: up to 200%, max £100. Deps 3 & 4: up to 100%, max £200. Dep. 5: up to 50%, max £450. All deposit matches applied via feature game (FG) after deposits. All Free Spins (FS) issued on Super Fruit Bandit. Up to 30 FS at registration via FG with 7-day expiry, no deposit necessary. Furthermore, 150 spins are awarded in sets over 10 days & after first deposit; each set with 14 days expiry. Amount of spins awarded per day decided via FG. Also, welcome Bonus and winnings from FS awarded as bonus credit. Bonus credit has x40 wagering requirement. Finally, max withdrawal without depositing is £50. You can withdraw any unspent deposit. T&Cs apply, BeGambleAware.org. Up to 30 FREE SPINS Welcome Bonus. No Deposit Needed! 18+. New players only. No deposit required. Up to 30 locked free spins (FS) available to win via feature game, usable on Super Fruit Bandit only. Most importantly, this bonus expires 7 days after player registration. Winnings from FS awarded as bonus credit. Bonus credit has x40 wagering requirement. Also, the max withdrawal without depositing is £50. You can withdraw any unspent deposit.